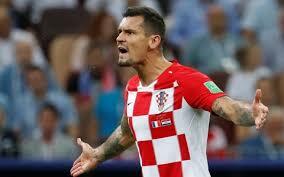 July 17 – Croatia’s Liverpool defender Dejan Lovren has poured out his heart over their World Cup final defeat saying his side “played much better football” than France. Croatia took maximum points in the group stage and looked the better team for large parts of Sunday’s final and Lovren criticised the approach taken by Didier Deschamps’ team. “I am proud of what we achieved, second in the world. I’m proud of everyone and for the country. We have regrets now when we look at decisions but it doesn’t make sense anymore. Lovren was equally scathing about the officiating, in particular the free kick and penalty decisions that went France’s way, the latter after invoking VAR when a flick-on from Samuel Umtiti struck the left arm of Ivan Perisic in the Croatia area.